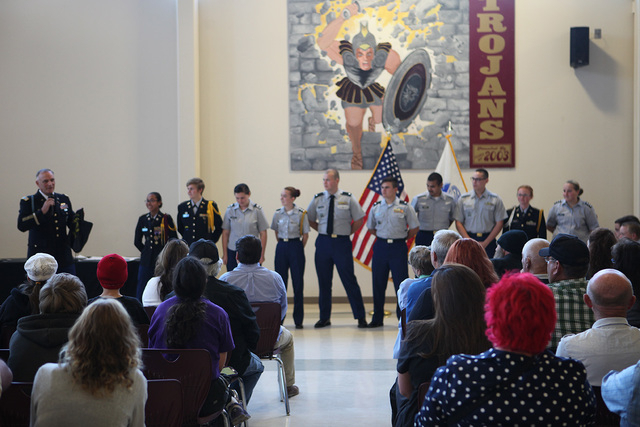 Pahrump Valley High School’s JROTC program recognized the respective achievements of its cadets during Thursday night’s awards ceremony. 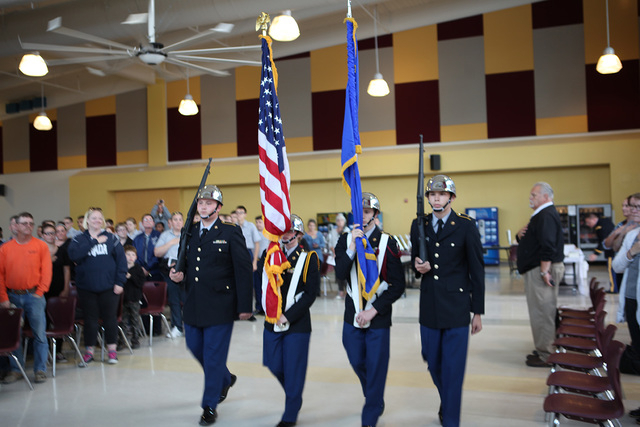 The annual event shines a spotlight on the cadets for their role in Leadership, Education and Training (LET), responsibilities while enrolled in the program. Nearly two dozen awards were bestowed upon the cadets, according to the program’s commander, Lt. Col. Patrick Nary. Among the awards presented, were citations for physical fitness, academics, most improved, and community service. Additional awards included superior cadet, leadership, and cadet of the year. Nary said the program also served as a farewell to graduating seniors. One standout recipient was LET-3, Cadet Dylan Metscher. 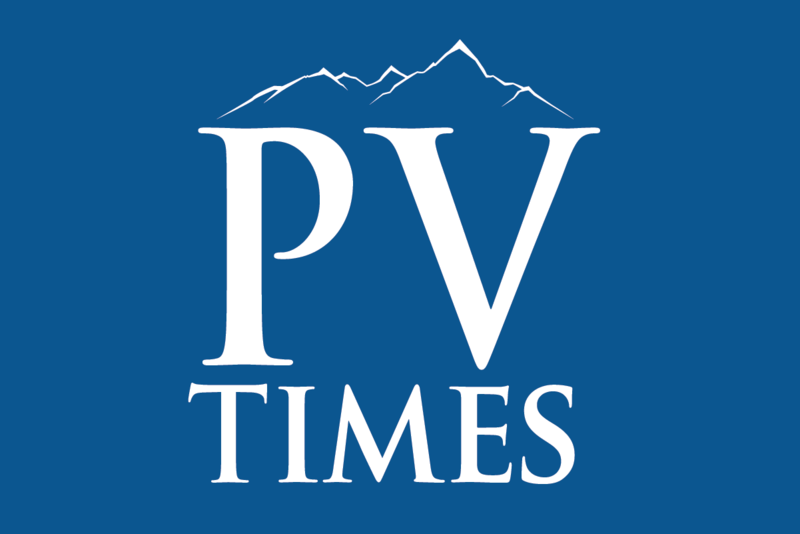 Metscher personally earned the distinguished Sons of the American Revolution award, along with the American Legion General Military Excellence award and the Military Officers of America Association award. Additionally, Metscher was selected to become the Cadet Lieutenant Colonel for 2016-17 school year. He will take over command from Lieutenant Colonel Fenny Descuatan, a senior this year. Descuatan earned her own collection of personal awards during the ceremony, including the Daughters of the American Revolution, the ROTC Academic/Athletic award, and the Level-4 Senior Army Instructor Leadership award. Nary also lauded a graduating senior who was accepted in the most revered U.S. military academy. Nary noted the gravity of the honor. Cadet LET-4 Dusty Biermeyer, who earned the United States Daughters of 1812 award, the Association of the United States Army award, and Most Improved Female award, received a four-year Navy ROTC scholarship, a first for southern Nevada, according to Nary. Additionally, Biermeyer and Cadet LET-2 Bryce Biermeyer were presented with the highest JROTC academic ribbon, the Academic Excellence award. Cadet LET-1 Reagan Adams earned her share of awards. 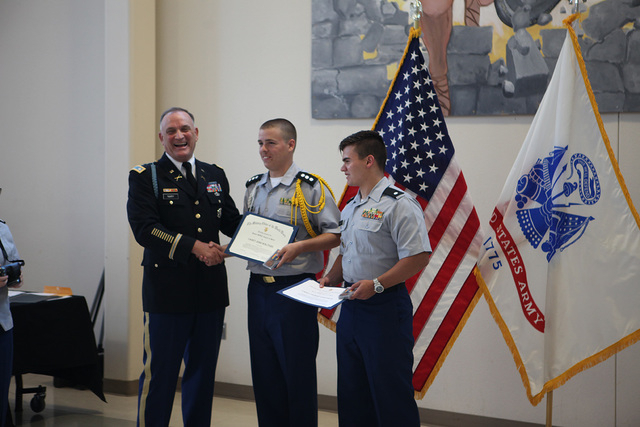 Adams received the Superior Cadet award, the Academic Achievement award, the Senior Army Instructor Leadership award, along with the Junior Cadet Leadership Challenge. Adams was also among the top five female cadets who earned the physical fitness award. Cadets earning the Military Order of World Wars include: LET-1 Sarah Mason, LET-2 Mary Quinteros, LET-3 Josh Walters, and LET-4 Thomas Gascoigne. Academic Excellence: LET-3 Caeli Havel. Academic Achievement: LET-1 Cadets Lilith Coutu, Dylan Oliverius, Matthew McCoy, Shelby Lucas, Paige Powell, Sarah Mason, Bryan Jacot. Academic Achievement: LET-2 Cadets Jeremiah Palmer, Chase Rogers. Academic Achievement: LET-3 Cadets Kelli Mercer, Caeli Havel, Nathan Vallin, Madison Shay. Academic Achievement: LET-4 Cadets Miariam Farias, Morgan Adams. Most Improved Male Cadet was earned by Juan Burgos.